Me too. It it supposed to look like it's wearing gloves and a mask? I walked up to the front of the apartment complex to check my mailbox and caught four pokemon along the way. I like this game. Yeah, Go's pretty fun. I've caught like ten uniques so far and there are five stops and a gym at a nearby park. Good stuff. When the servers are working, that is. But I can understand them being overwhelmed. Count yourself lucky. It's still not in Canada yet . Haven't tested it, because my cellphone is too crappy to play it. If that doesn't work, maybe you just have to wait. Hey thanks GD, that worked. 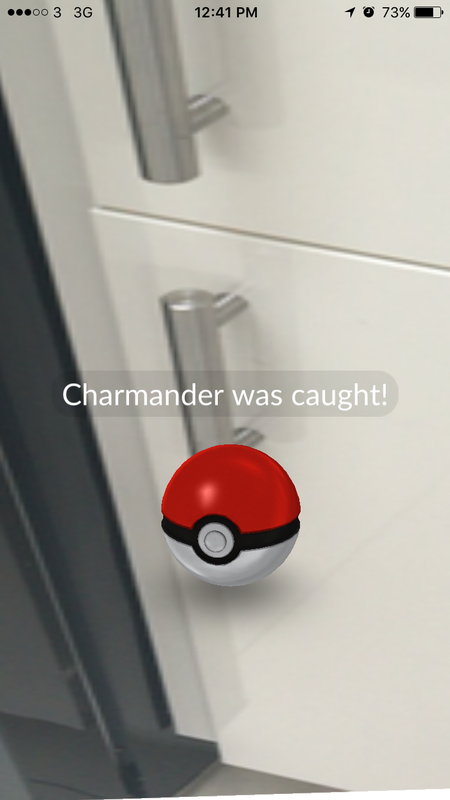 So charmander was logged into the surface of a kitchen cabinet. Not so sure about the AR aspect of this game. But the GPS stuff is cool. I'm amazed by how many landmarks they've managed to find in my neighbourhood of suburban south dublin. Just stuff like cool graffiti or historical plaques in parks. Also, there's a gym about a minutes walk away from me. looking forward to taking it out on a walk later. The AR aspect of it is what it is. I can say that Nintendo has been playing with the AR tech pretty seriously since the 3DS came out. And before that they were still researching VR. Glad to see someone using their tech for something semi-interesting. I absolutely love all the pictures of people holding guns up to Pokemon that are invading their houses. All that said, this isn't the best implementation of Nintendo's AR that I've seen before. Check out Chibi-Robo Photo Finder and Face Raiders for some very cool AR. They've got some pretty neat stuff out there and at least in terms of video games, already have years into this tech that the other companies are only just starting to get into with their AR (and VR) adventures. Right, cause the 3DS has two cameras. There's an increasing number of smartphones with dual cameras coming out now, usually with the second camera being lower grade or even grayscale, just for the 3D data. It'd be cool to see a future version of this game that takes advantage of that technology. Definitely. Because you're absolutely correct: a second camera makes the AR a lot better. Wonder if it'll come out for 3DS? 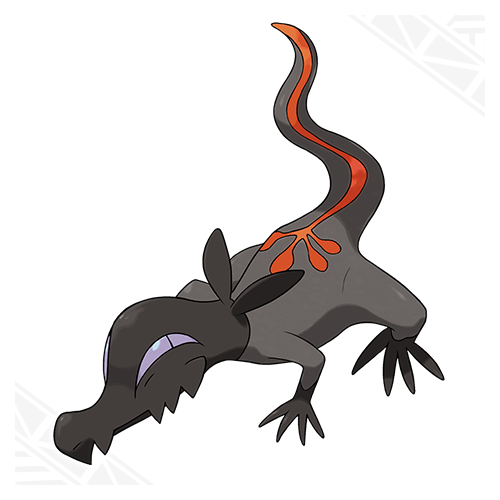 Maybe if it does, they would incorporate some actual battling mechanics to it. Not going to happen and I'll have Mr. Iwata tell you exactly why from beyond the graaaaaave. Smart device game applications are drawing attention in the game industry because so many people around the world own smart devices (smartphones and tablets) and because, even though the total number is small, there have been several successful applications that have been hugely profitable after becoming very popular. On the other hand, the competition among smart device applications has been so fierce that Nintendo cannot succeed just by releasing any software title with its popular characters or the themes in its popular game franchises. Any company that releases a new smart device application must face the challenge of making it stand out among the crowd. Accordingly, we had been thinking that if we ever decided to do it, we would have to put ourselves in the best position to prosper. For many years, Nintendo has shown results as a company which produces products that satisfy consumers with their high quality at the time of the purchase. For the content on smart devices, on the other hand, to be appreciated by consumers, they must provide ever-evolving services in addition to being high-quality products. Please also note that, even if we use the same IP on our dedicated video game systems and smart devices, we will not port the titles for the former to the latter just as they are. There are significant differences in the controls, strengths and weaknesses between the controllers for dedicated game systems and the touchscreens of smart devices. We have no intention at all to port existing game titles for dedicated game platforms to smart devices because if we cannot provide our consumers with the best possible play experiences, it would just ruin the value of Nintendo’s IP. And, if I can talk a bit further about our game development plan, we will continue doing our best to develop dedicated game titles for our dedicated game hardware platforms just as we have been doing. For smart devices, even in the case where we utilize the same IP, we will create completely new game software that will perfectly match the play styles of smart devices. Iwata had mentioned that the mobile games are not meant to be the same as the "proper" handheld games. The mobile games leverage the advantages of mobile devices and therefore are not designed in the same fashion or for the same styles of play/activity. This is the secret to success for Nintendo in the mobile market because they can't just pop their games on phones, the games aren't designed for phones on a fundamental level. They want to do it right: make phone games for the phone and if you like it and want a bigger, better experience, grab a 3DS and pick up Pokemon and have a blast. That's the plan. And in my personal opinion I think they were exactly right. You can't just plop a console or handheld game on a cellphone and expect it to make the kind of profit Nintendo wants. The games have to be designed to take advantage of that ecosystem.